I know the entire interwebs is going crazy over iPhone5 news and probably a couple ones drooling over the refreshed iPod Touch 5 but just in case you were too busy wondering about the new iPhone5 you might have skipped hearing about the new tablet Amazon just released. 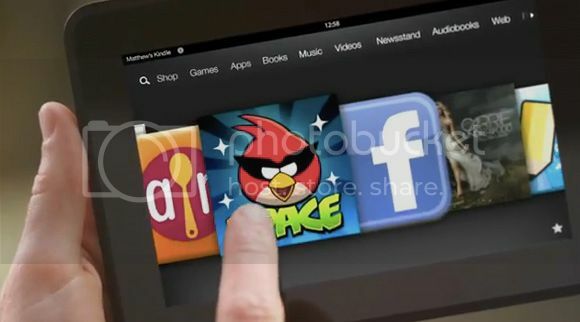 The Kindle Fire HD comes in 7-inch and 8.9-inch variants that comes with 1080p video playback which really isn't a surprise since they named it HD. It's running on a dual core processor and will have access to all the content available on Amazon, for a fee of course. If you want to grab one of these expect to pay around USD 199 to a wallet punching USD 599.00 depending on the variant you want. Go ahead and check on the video ad after the break if you have time to waste. Me? I'm still going for the Google Nexus 7.